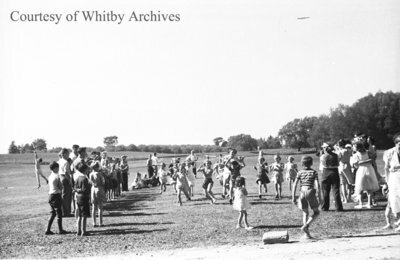 A black and white negative of children participating in a race on a grass field. Spectators are standing along both sides of the race. Field Day, c.1938, Marjorie Ruddy. Whitby Archives A2013_040_664D.